When buying marijuana flower at a dispensary, it’s not difficult to find something tailor-made for your needs: Sativas for energy and focus, indicas for pain relief and sleep, hybrids for something in between. Try out the same formula for pot-infused edibles, and your options are (for the most part) only distinguished by flavor, with nothing said about how it will treat you. The truth is, cannabis edibles are still miles behind flower when it comes to predicting what kind of effect it will deliver. And at a time when edibles are under such heavy scrutiny for causing unexpected freak-outs and alleged connections to suicides and murder, experts say there is now more of a need than ever before for manufacturers, regulators and especially users to educate themselves about this alternative method of ingesting cannabis. Cannabis-infused treats have also unexpectedly become the marijuana of choice for novices looking to experiment with cannabis, and the cookies, candies and sodas they are swallowing are often made by companies looking to make a product quick, cheap and with little aim other than delivering maximum intoxication. In attempting to unravel the cat’s cradle of edible marijuana products, we spoke with edible manufacturers and cannabis scientists who gave us their at-times-conflicting perspectives on why so many are generic hybrids — as opposed to specific indicas or sativas — and why it is so difficult to create a product with a consistent, predictable effect. It’s a profoundly complicated situation, so for your convenience we’ve broken it all down into this handy and readable list — Five legit reasons why an edible’s high is so very unpredictable. 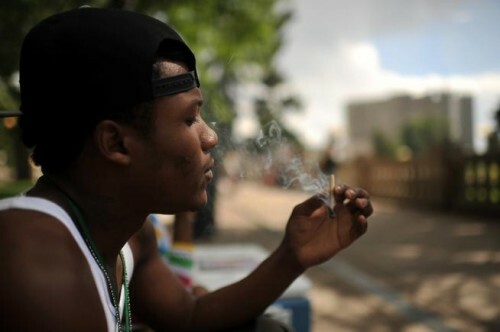 Jamieon Adams of Denver smokes pot at Civic Center Park in 2013. With marijuana quickly becoming a popular recreational option for residents and those visiting Colorado (and other states with adult-use pot), many consumers are looking for a way to ingest cannabis without smoking it. Edibles are attractive to so many novices for this reason — the idea being that they are simply an orally consumed version of marijuana flower. But we are quickly learning that the two substances are merely cousins of one another, not identical twins. Tetrahydrocannabinol, or THC, is the most popular eight-syllable word in a stoner’s vocabulary. THC is the cannabinoid that gets you high, but there are others, like cannabidiol (CBD) and cannabinol (CBN), which also impact how you feel when you consume marijuana. When the flame of a lighter ignites a bowl, the psychoactive material of the pot is decarboxylated, turning it into a smoke that goes directly into the bloodstream via the lungs. But with infused foods, the plant material has already been decarboxylated via the extraction process that helped make the food — long before you the consumer eat it. Depending on how it’s extracted, that process can have the potential to change the chemical makeup of the substance in a way that simply putting a flame to it doesn’t. And when the cannabis travels into the stomach, instead of the lungs, the detour changes it even further. “The main biological difference is that cannabinoids consumed in edible form go through ‘first pass metabolism,’ which means they pass through the liver,” says Kent Hutchison, a neuroscience professor at the University of Colorado at Boulder’s Center For Health and Addiction. Hutchison says that when you smoke pot, you’re getting more of the cannabinoids into your blood, and you’re getting them a lot quicker than you would with infused foods. And when consuming marijuana as a food, there is a larger variance of effect from one person to another based on their biological makeup. There is also this issue: Marijuana that is engineered for a specific effect is done so with smoking in mind, and there is debate as to whether those characteristics even make it into food. 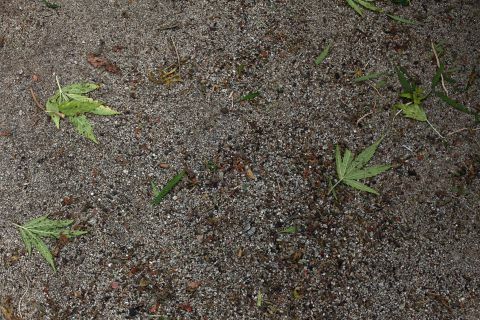 With a few exceptions, marijuana is typically manufactured with smokable flower in mind, and it’s usually the leftovers of the plant that are sold to make edible marijuana products. This is another reason why it’s so difficult to find an edible product that advertises a specific, desired effect, since a majority of them are assembled hot dog-style from a variety of different cannabis trim. 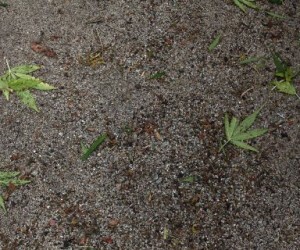 Shellene Suemori, science director of Dixie Elixirs, says it doesn’t make a huge difference if the cannabis material is separated by strain because the extraction process of turning the trim into a concentrated oil (that can then be easily cooked with) removes most of the plants’ unique characteristics anyway. It’s possible that one of the main elements of cannabis that dictates your high being sleepy, energetic or heady are terpenes, the microscopic bulbs of oil in the plant that give it its scent. Terpenes are not believed to be psychoactive themselves (though the science on this is not settled; more on that later), but they interact with the THC in various ways to produce a specific effect. The terpenes are likely what you’d need to preserve in the plant in order to maintain its properties as sativa, indica or a type of strain. Some companies are artificially injecting terpenes like limonene into the oil used in their products to give it a desired effect, though Hutchison says that this often is not necessary if you’re careful about how you transform your trim into oil. “To the extent that the extraction process collects all the cannabinoids and terpenes, then it will maintain the characteristics of the plant,” says Hutchison. While the debate rages on over what extraction methods are sophisticated enough to get all the goodies out of the trim and into a serving of food, there are also those questioning if trim is even a good resource for infused products. Kane compares high- and low-quality marijuana concentrates to fine-scotch and cheap vodka: You can make the vodka from potatoes or a variety of low-grade products: Just distill them down until it’s a booze that will get you drunk. But with fine scotch you need to start with high-quality grain and take great care with the process in order to preserve the characteristics of that grain.